Do you have a business or product that isn’t getting the attention it deserves? Is there something about your business or product or that stands out above the rest? Do you need the right people to see and get to know what you have so that it can become a success? We know that getting your business in front of the right consumer is key to overall success of a company. You can’t be successful if no one knows you exist. Media today is so flooded with advertisements that consumers don’t know who to trust. 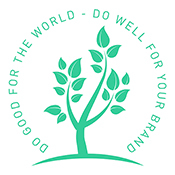 At Do Good PR Group we take our clients’ stories, business and products and find the right way and angle to get it in front of your perfect consumer for maximum exposure and success. We research you, your competitors, consumers, and your target market as well as the right media outlets to cover your business without being just another ad. We take the time on researching and refining your message to tailor a plan that is what you and your consumers want and need.